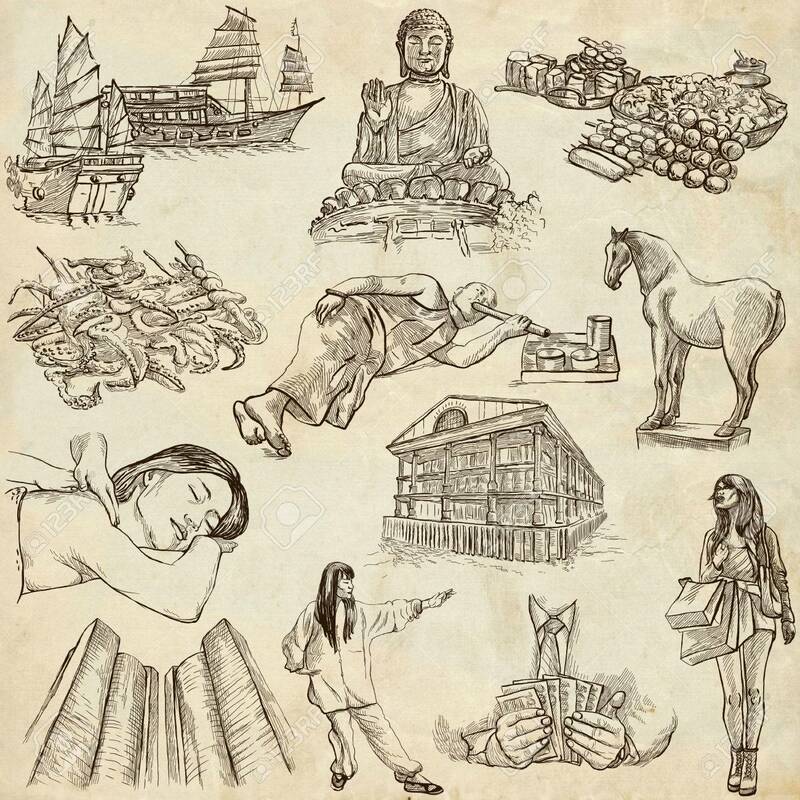 Travel Series: HONG KONG - Collection (no.1) Of An Hand Drawn.. Stock Photo, Picture And Royalty Free Image. Image 34300699. Illustration - Travel series: HONG KONG - Collection (no.1) of an hand drawn illustrations. Description: Full sized hand drawn illustrations drawing on old paper. Travel series: HONG KONG - Collection (no.1) of an hand drawn illustrations. Description: Full sized hand drawn illustrations drawing on old paper.